The CW Morgan left Mystic Seaport yesterday, May 17, for the first time since 1941. 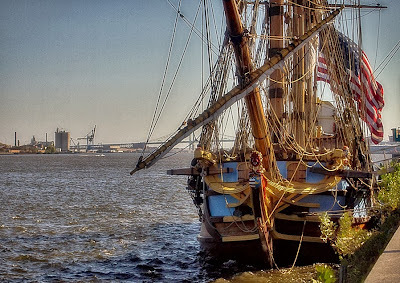 She was towed to City Pier in New London for her final fitting out. 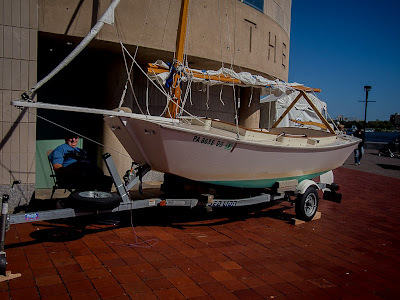 Here are a few photos of her preparations from about a month ago, when her spars were lifted in. 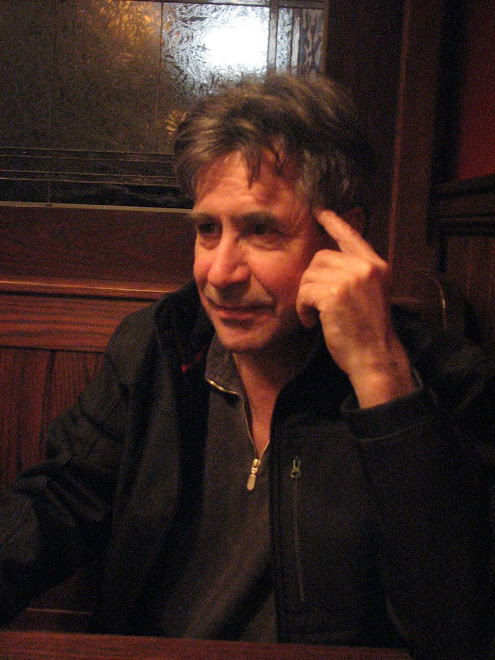 These photos were taken by Muffy Aldrich and first appeared on her very cool blog 'The Daily Prep'. 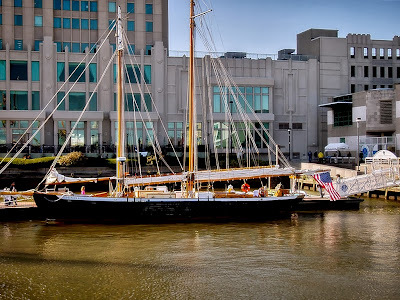 Thanks, Muffy. 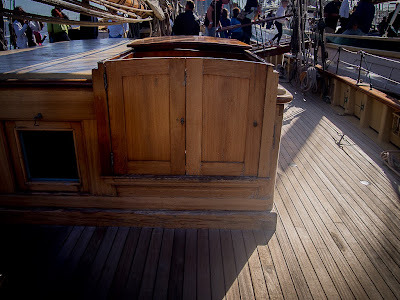 Today I have been gathering pics of the Morgan's departure yesterday and should get them up in a day or two...stay tuned. 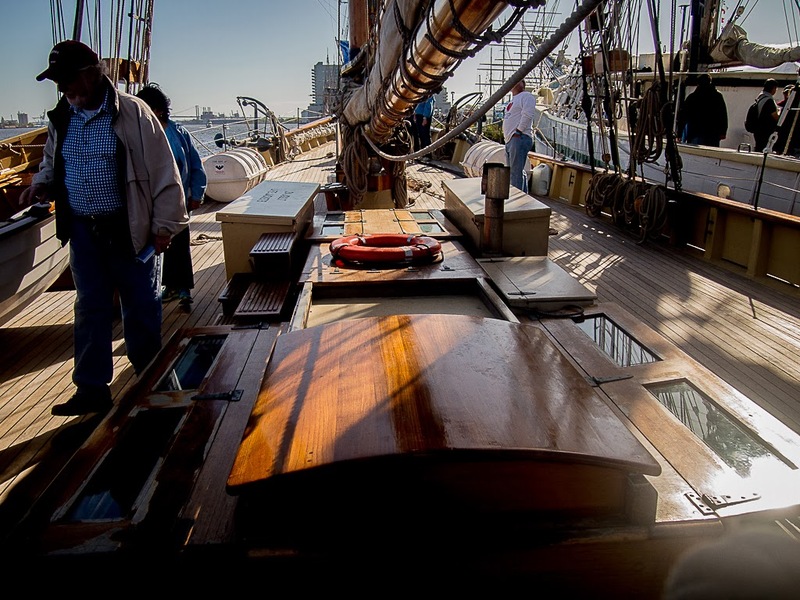 As the owner and captain of the 132-foot, three-masted schooner Victory Chimes out of Rockland, Files is no stranger to sailing large ships without an engine. 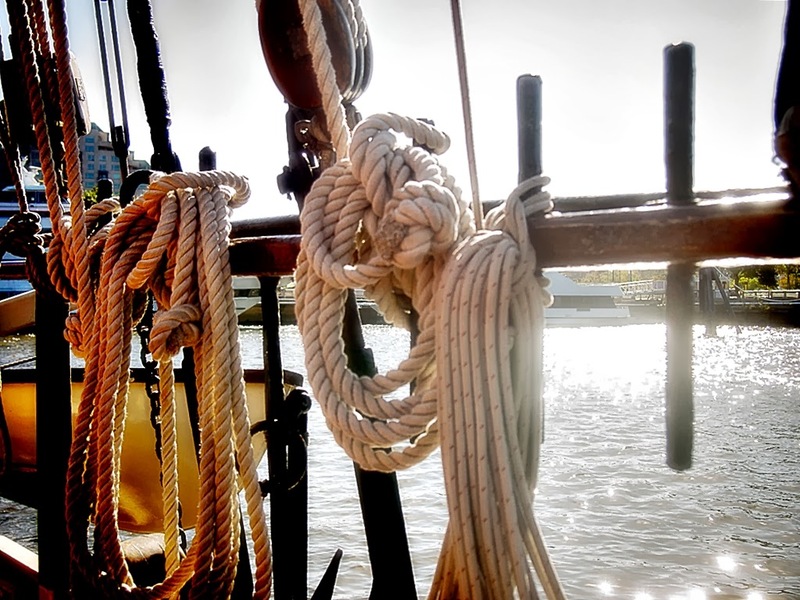 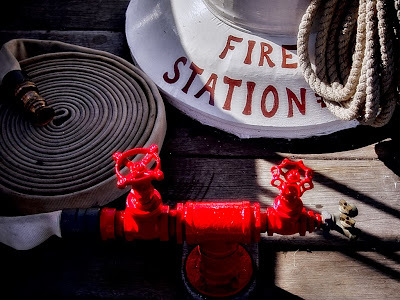 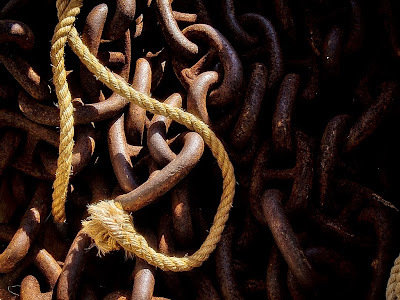 He is also the primary captain of the 207-foot barque Elissa, owned and operated by the Galveston Historical Foundation and Texas Seaport Museum. Files holds a U.S. Coast Guard Master Ocean License for Inspected Passenger Vessels of up to 1,600 Gross Tons. He has been a master of traditional sailing vessels since 1978. He also served on the boards of Tall Ships America (formerly the American Sail Training Association) and the Ocean Classroom Foundation. 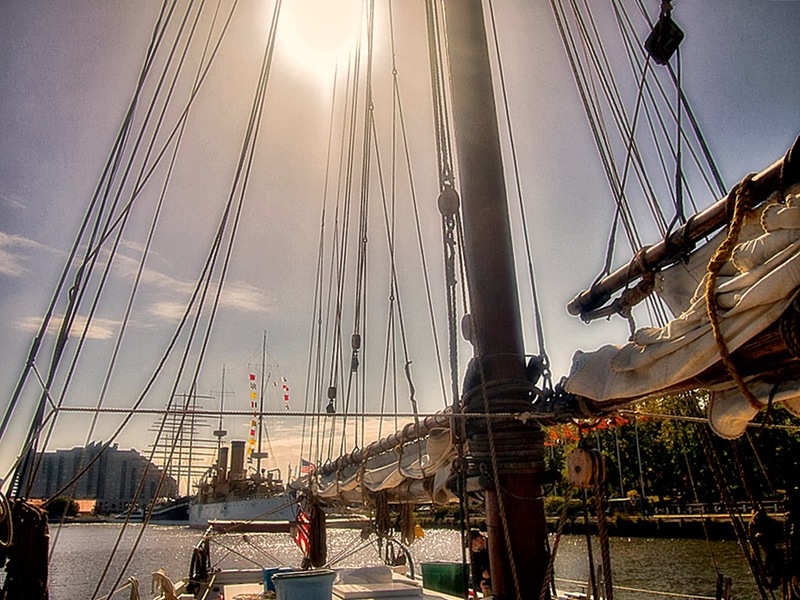 “There are very few people in the world with the knowledge and experience of traditional square-rigged sailing necessary to do this job. 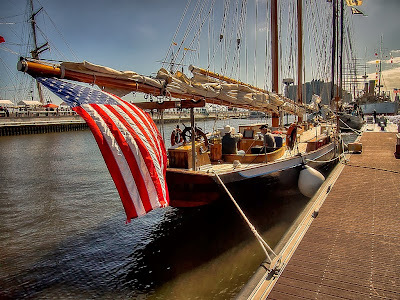 Kip is one of those people and we are confident we have found the right person to lead the ship on her 38th Voyage,” said Steve White, president of Mystic Seaport. 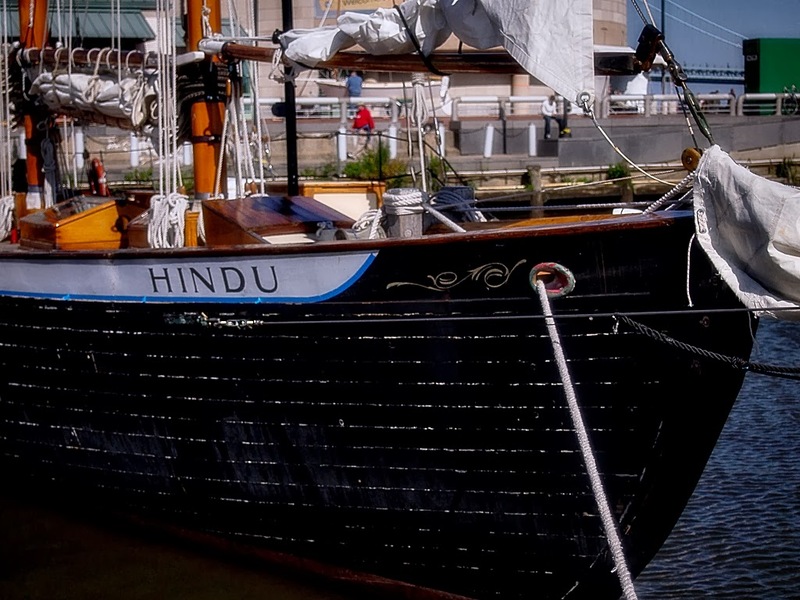 'Hindu' sails out of Key West and is available for charter. 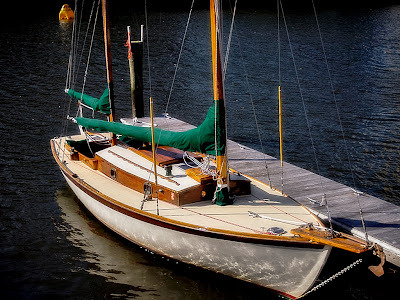 She dates from 1925, a William Hand design built by Hodgdon Brothers in East Boothbay, ME. 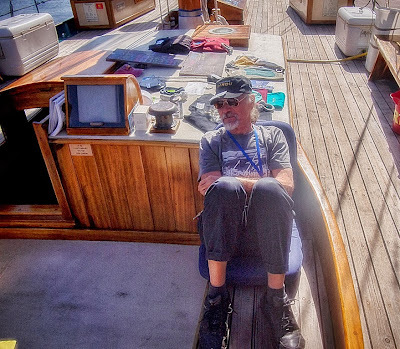 John Schwarzenbach soaking up the 'Hindu' ambience. Paul Grey and Josh Rowan. 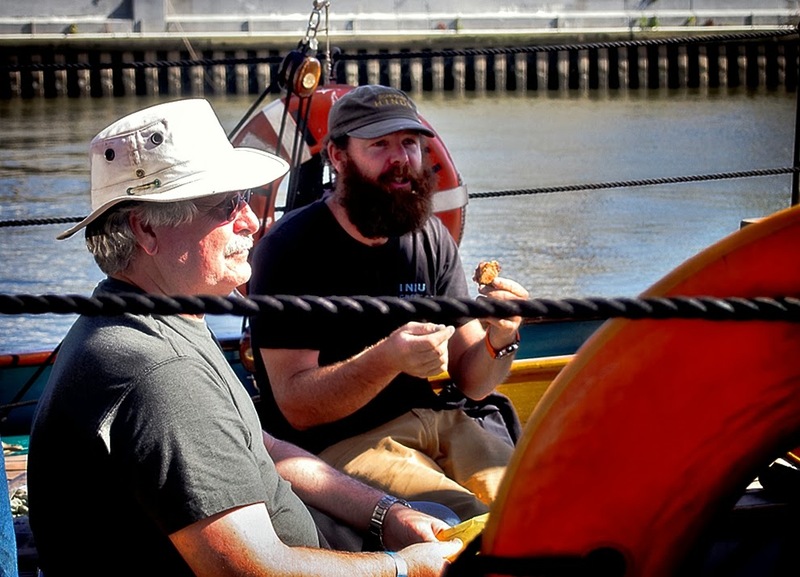 Josh is the skipper of 'Hindu' and his father Bill the owner. 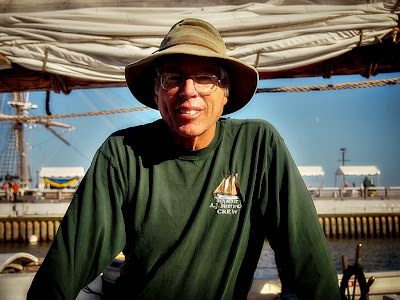 Paul owns the schooner 'Quintessence' which he charters out of Barnegat Bay. 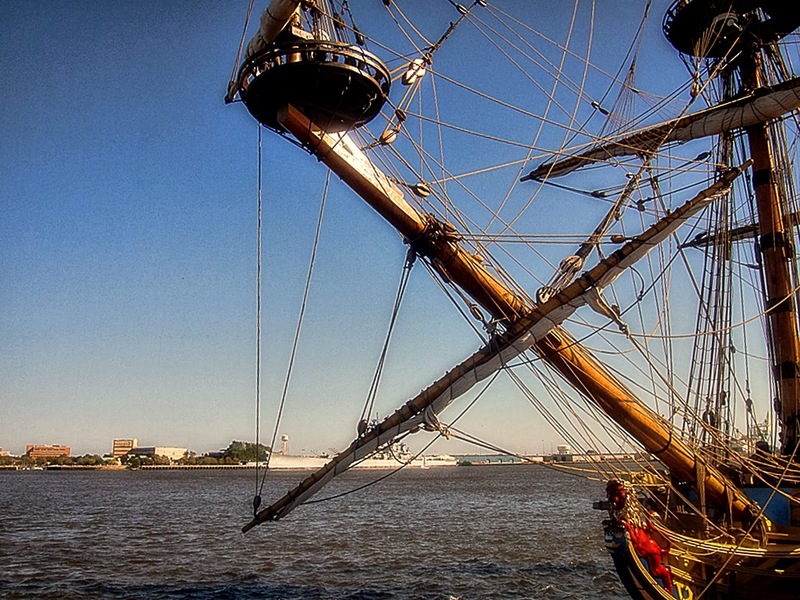 The 'Meerwald is New Jersey's tall ship. 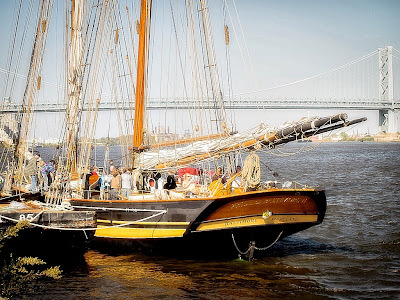 Home port is Bivalve, NJ and like most of the boats (ships) at the festival is an educational venture, under the auspices of The Bayshore Center at Bivalve. 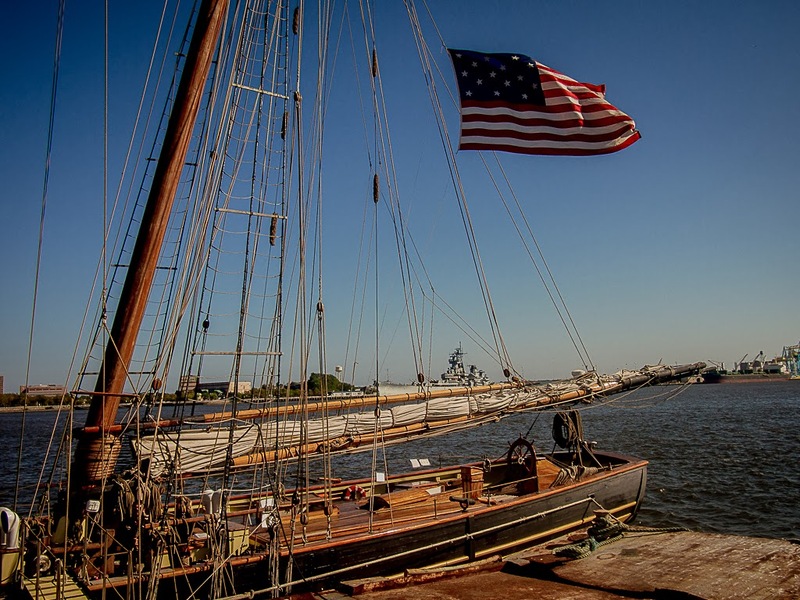 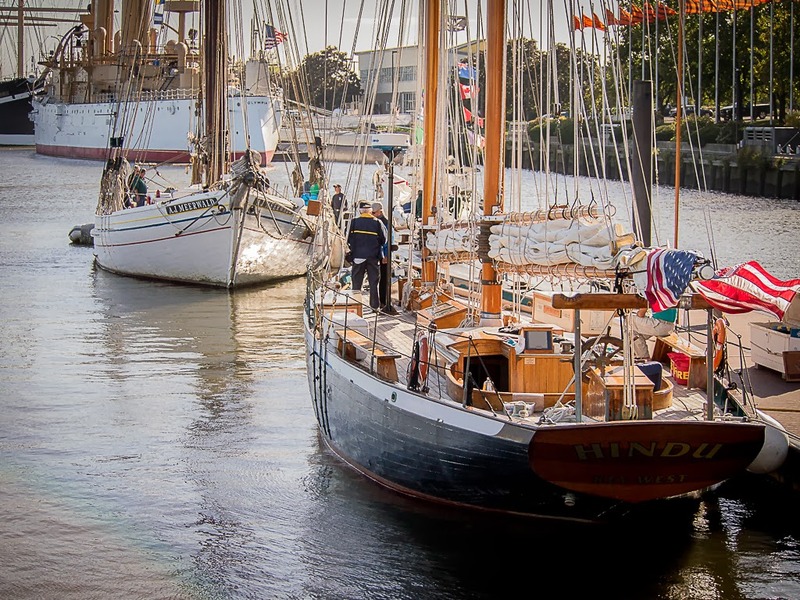 Jesse A Briggs is captain of the restored 1928 oyster dredging schooner. 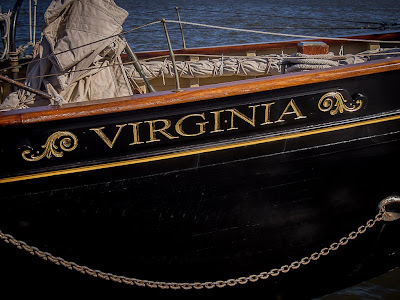 This 'Virginia' is a replica launched in 2004. 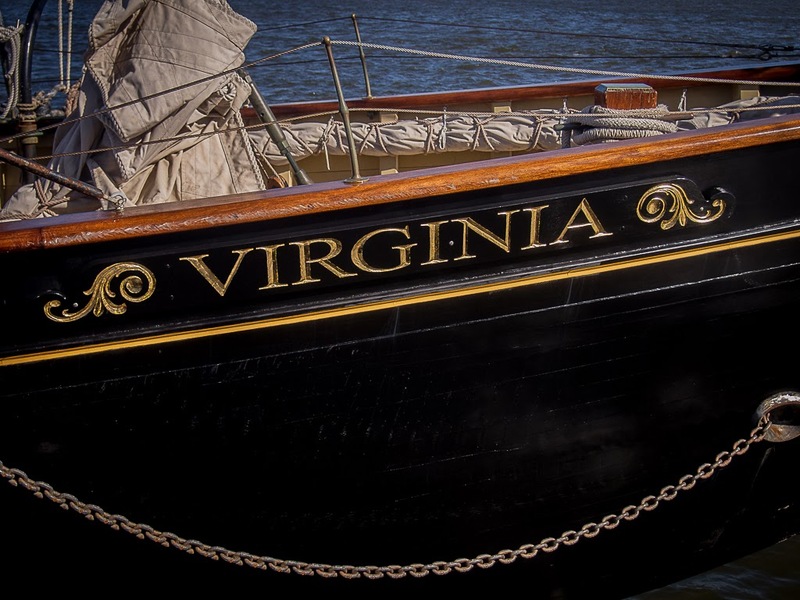 The original 'Virginia', launched in 1916, was commissioned by the Virginia Pilot's Association and designed "along the lines of an America's Cup defender! Her history is quite compelling. John Brady at the helm of one of the ISM's whaleboats on the rather choppy waters of the Delaware River, passing by 'Schooner Virgina's port side. 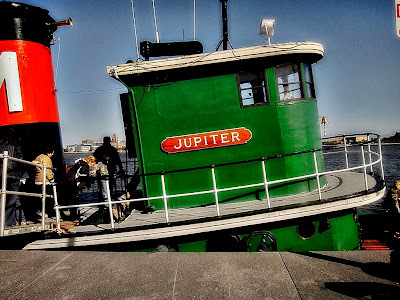 Tug 'Jupiter'. 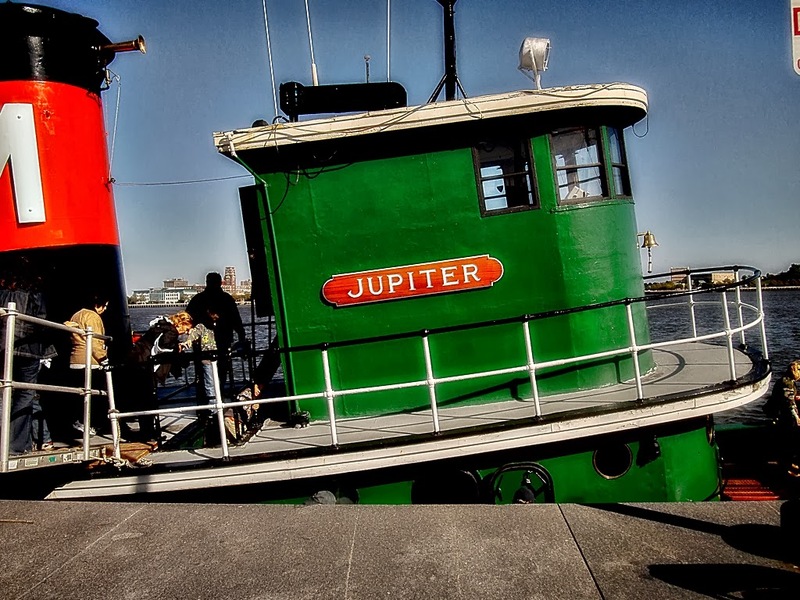 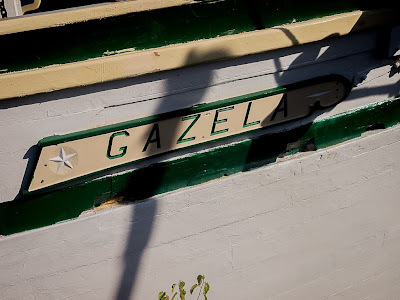 'Jupiter' and 'Gazella' are maintained and deployed by the Philadelphia Ship Preservation Guild. 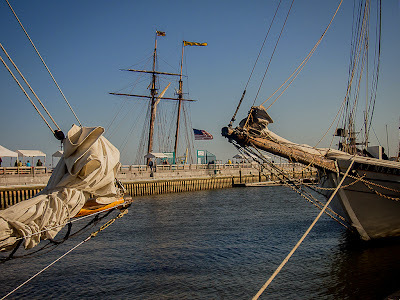 'Pride II' and many of the other ships present headed down to Baltimore for The Great Chesapeake Bay Schooner Race. 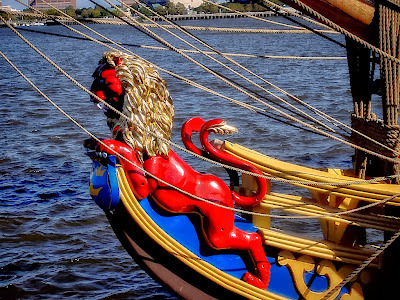 Kalmar Nyckel is the most dramatically decorated boat at the festival. 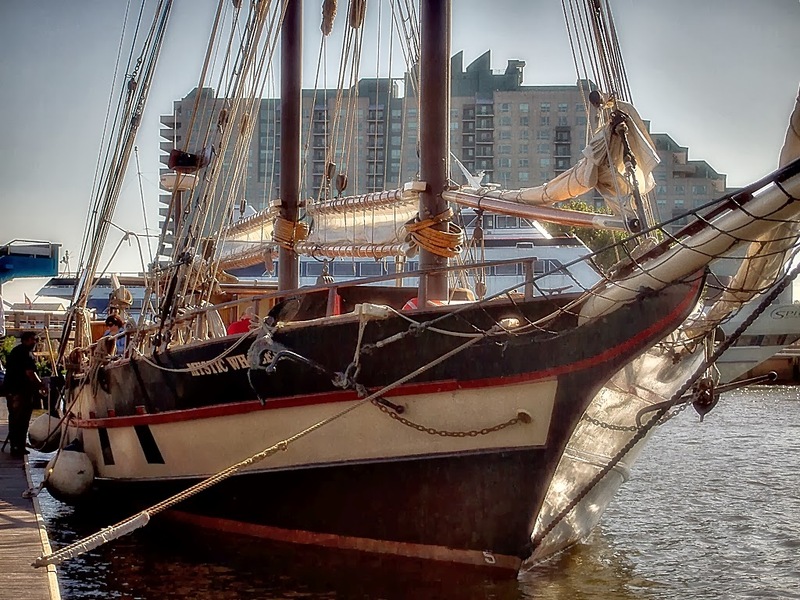 She's a replica of the Dutch Pinnace built in Amsterdam c. 1625 and sailed to the New World in 1638 to establish a Swedish Colony. The Colony was dubbed New Sweden, at the head of the Delaware Bay, which is now Wilmington Delaware. 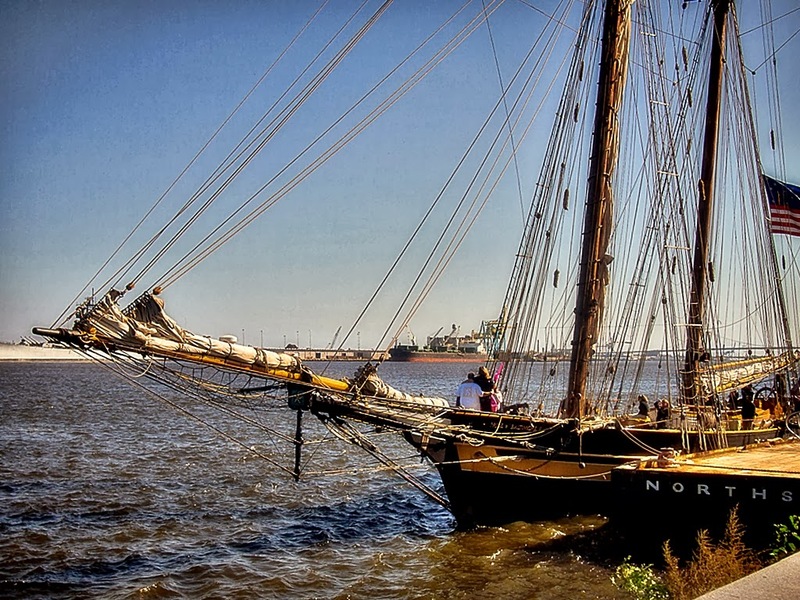 New Sweden was the first permanent European settlement in the Delaware Valley. 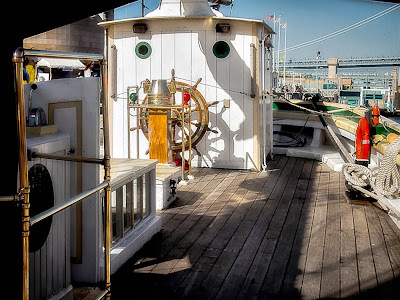 Here is her grand poop deck. 'Mystic Whaler' was built in 1967 , a reproduction of a late 19thC. 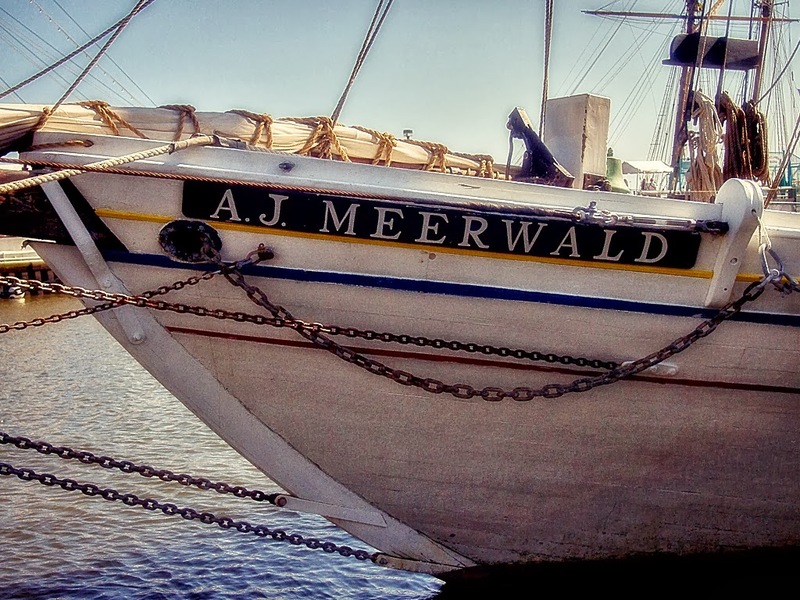 coastal cargo schooner. 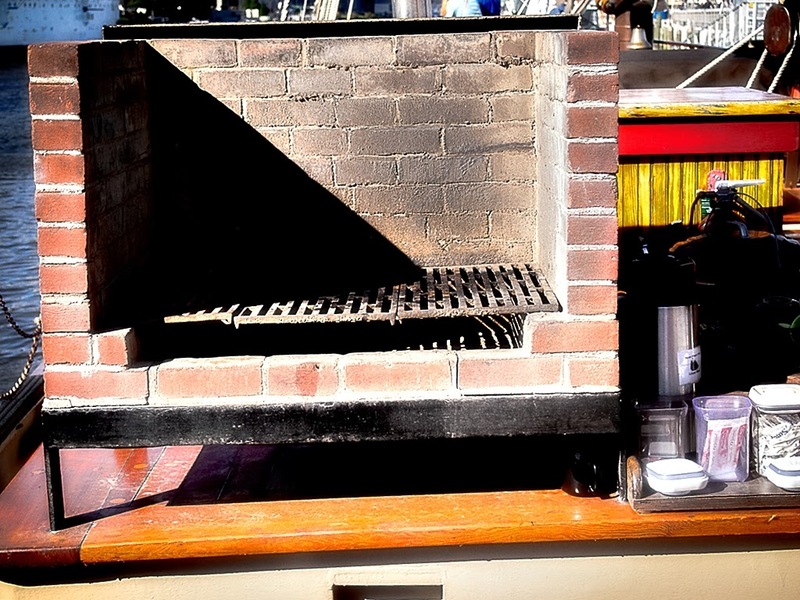 She even has a brick grill! 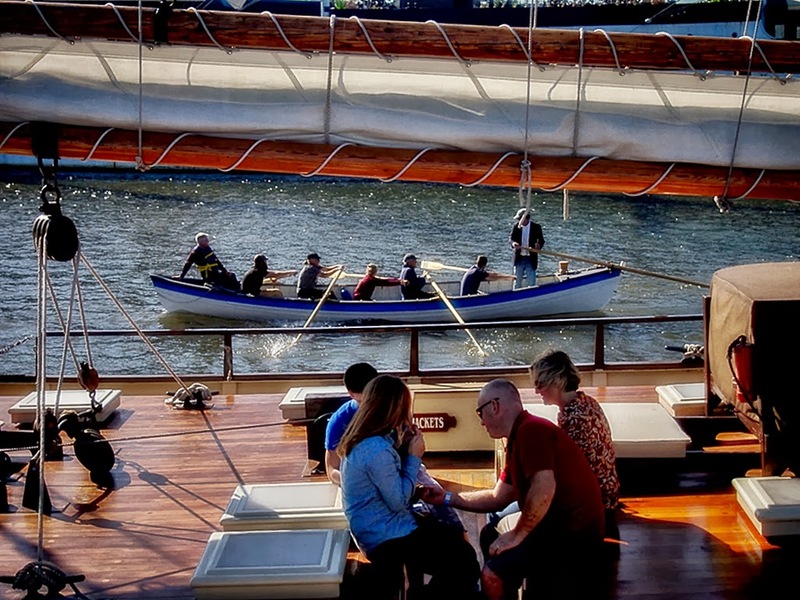 These folks know how to do it. 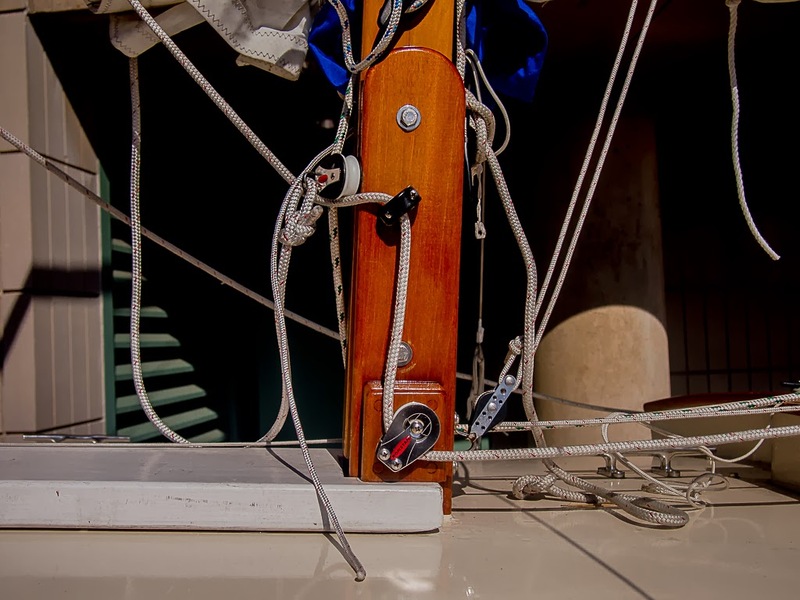 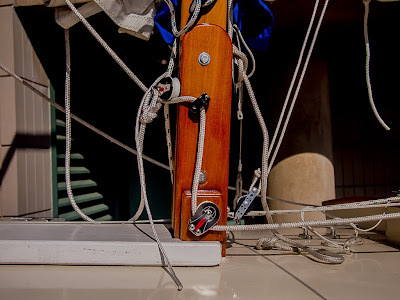 Owner Floyd Beam reconfigured the mast with this tabernacle system which allows him to continue to sail the boat singlehanded despite some back issues. The charming H 28 'Gwylan' again returned with owner Roger Pritchard at her helm. 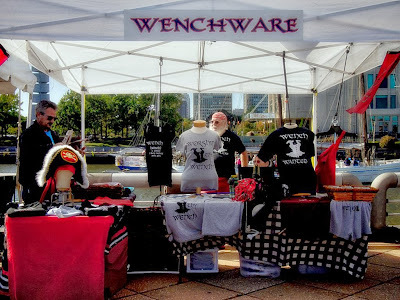 There were a bevy of vendors this year, and I found these guys the most amusing, by a long shot. 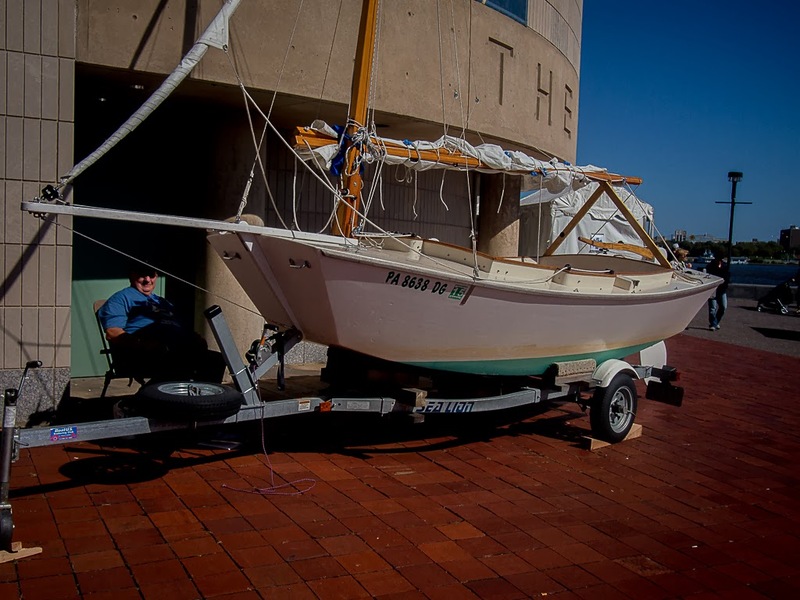 The aforementioned John Schwarzenbach's sweet little Comet was beautifully restored at the ISM's workshop. I have to hand it to John Brady, his staff and the volunteers at the Independence Seaport Museum. John had a vision a couple of years ago about how to grow this festival and it's paying off. 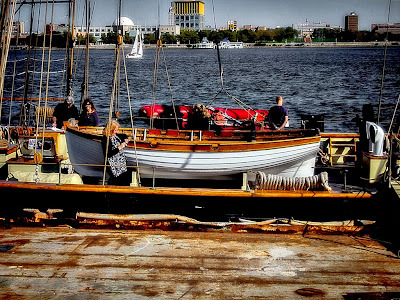 There were more ships (7), more visitors and more vendors than ever before, despite dire weather forecasts, which as you can see from my photos, did not hold sway. I went down on Sunday, it was a beautiful day, a bit windy. 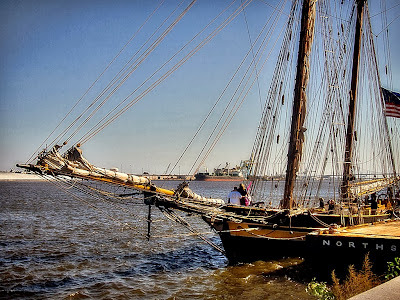 These ships are amazing, every one of them, and seem to be a big hit with the public. 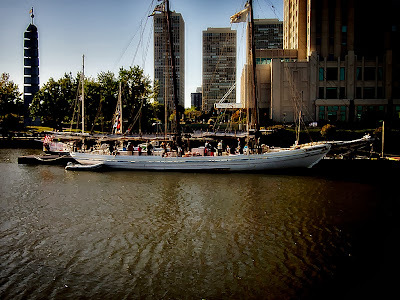 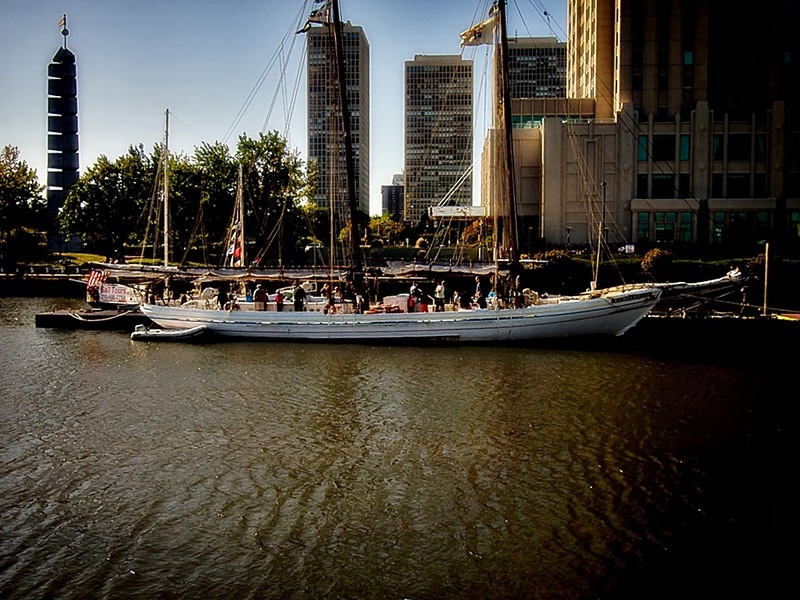 All the schooners present traveled on down to Baltimore after the festival to compete in the Great Chesapeake Bay Schooner Race. 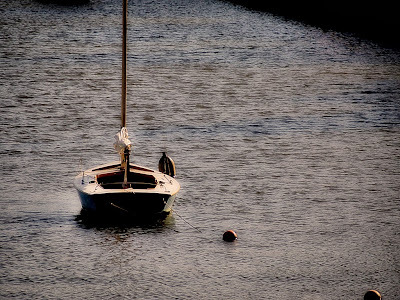 My only disappointment was the paucity of small craft, which I am sure will be rectified in the future. 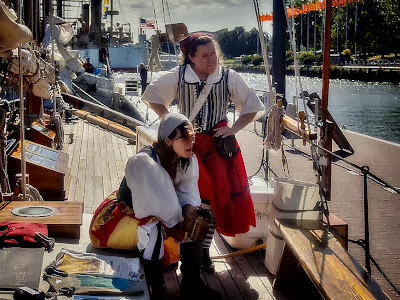 I have given more attention to ships new to the festival this year. 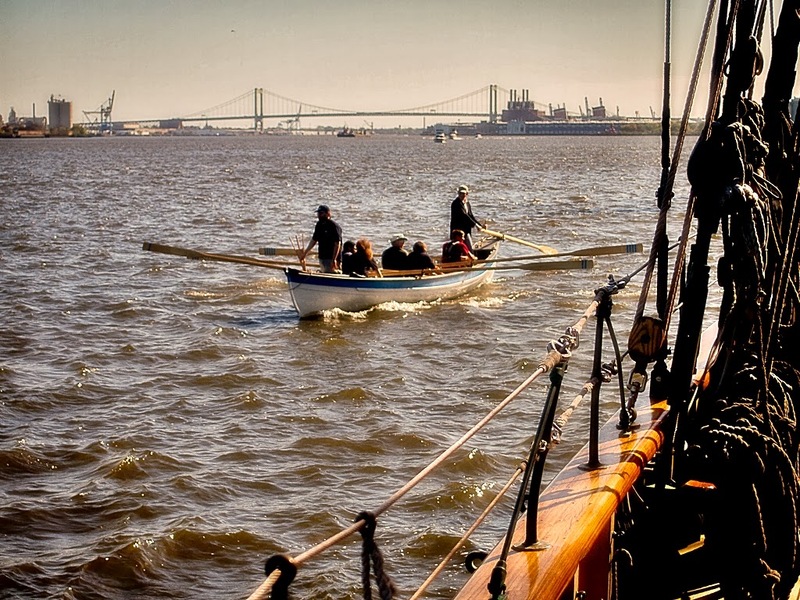 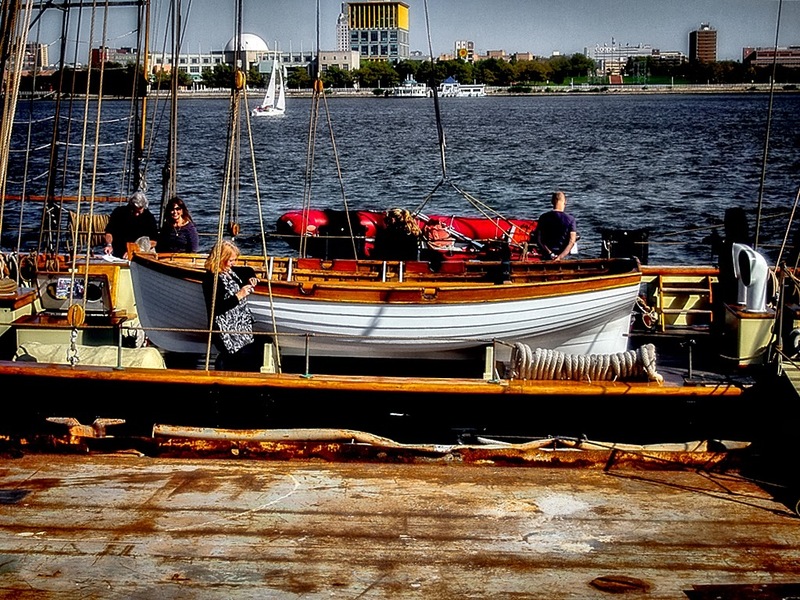 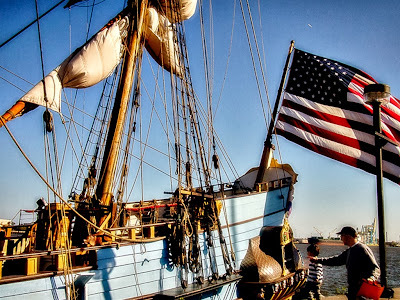 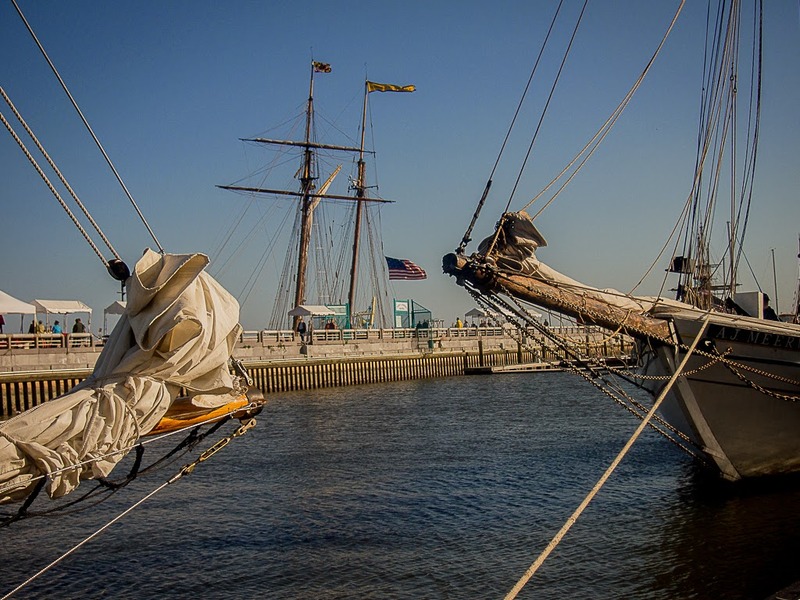 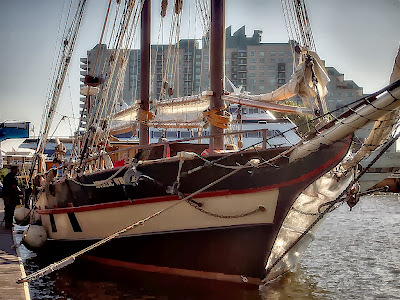 If you'd like more of 'Gazella', 'Meerwald', 'Pride of Baltimore II' and the 'Kalmar Nyckel', see my post from last year.This is a great festival, and growing, make plans to attend next year!